Honest fact: No one does A/C or HVAC Installations better than Max Air. Unlike many companies these days who often use subcontractors or have a revolving door of employees, our installers have all worked for us for over 5 years, have been rigorously trained, supervised, and take pride in our company and the work we do. Max Mechanical pays our installers better than most companies will and they are worth it. Visit ANY of our job sites and compare to other companies, there is no comparison. Because of our faith in our team, we offer a MONEY BACK GUARANTEE on most of our installations. 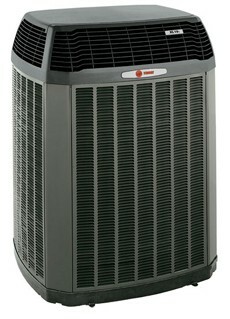 We offer quality HVAC solutions for replacement heating and cooling systems for your home. Whether you need a new air handler or furnace to a condensing unit or entire system and ductwork, Let us explain all of the available discounts, tax credits and rebates available to you in this competitive marketplace. Where our experience really benefits you is when it’s time to select the best and most economical system to install. That’s when we can explain the “what,” “why” and “how” of each offer, and review with you all of the pros and cons of each available option. Most new systems will take less than a day to install and we take care of all the warranty information for you. We also offer financing options to help you out as well.